Jens Trinidad has his background from X-Ray Youth Culture House, where he started dancing in the late 90's. With roots in hiphop and house, he works both in the urban field and in contemporary dance. 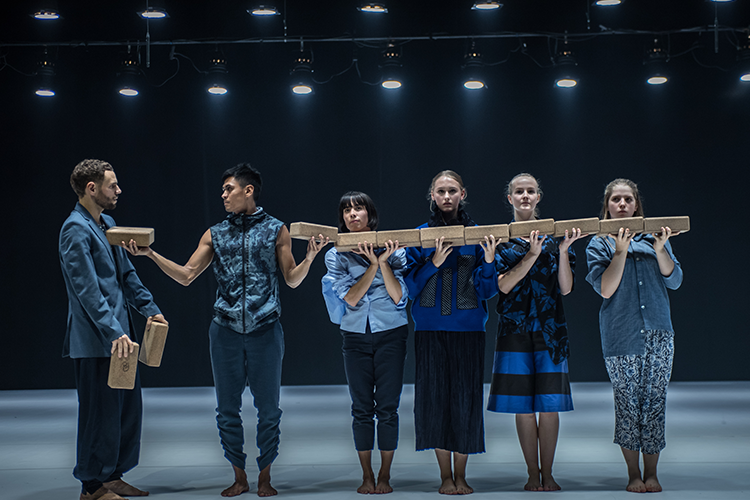 Jens has worked with choreographers and companies including: Panta Rei Dance Theatre, Elle Sofe Henriksen, Homan Sharifi, Sølvi Edvardsen, Camilla Tellefsen, Belinda Braza, Emmanuelle LePhan (Canada), Trust Dance Theater (South Korea) and Fredrik Benke Rydman (Sweden). In addition he often features in various television productions as a dancer and choreographer on NRK, TV2 and TVNORGE. In 2015 he was appointed as Norway’s Dansens Dager ambassador. The same year Jens was awarded the three year Artistic Bursary for newly established artists, by the Norwegian Arts Council. In 2018 he was employed by the Norwegian Actor and Dancer Alliance. In addition to working as a dancer and choreographer, he also teaches at the Norwegian National Academy of the Arts, Edvard Munch Videregående Skole, Proda, Den Norske Opera & Ballet, and delivers workshops for Carte Blanche. Jens has choreographed several works for dance education in Norway, as well as featured pieces at Scenehuset and Urban Moves Festival.